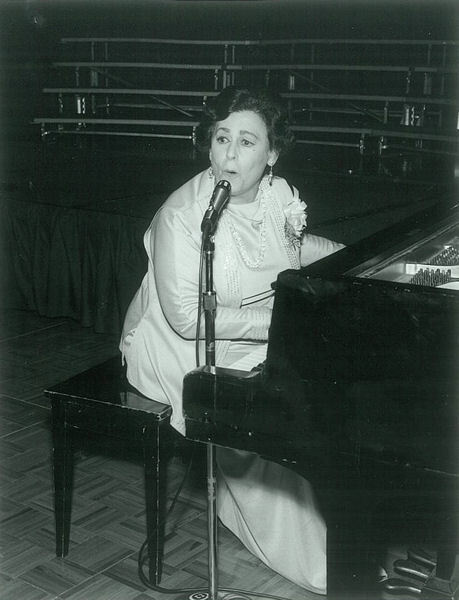 WEF’s first-known song titled was written in 1979 by Bertha Lang, wife of Martin Lang, WEF president 1978–1979. WEF photo. The opening line for the Water Environment Federation’s (WEF’s; Alexandria, Va.) first-known song still rings true for the mission of the organization. Since 1929, WEF and its members have worked to protect public health and the environment. WEF’s strategic plan outlines a mission to connect water professionals, enrich their expertise, increase awareness about the value of water, and provide a platform for water sector innovation. Bertha Lang performs “The WPCF Fight Song: A Fight Song for Clean Water” during the WEF annual conference in 1979. WEF archives photo. Back when WEF was called the Water Pollution Control Federation (WPCF), the organization’s president Martin Lang thought this mission needed a tune to rally around. Lang, a chemical and civil engineer who was the first deputy administrator of what now is known as the New York City Department of Environmental Protection, served as WEF president in 1978–1979. His wife, Bertha Lang, contributed her skills as a pianist to fill this need. 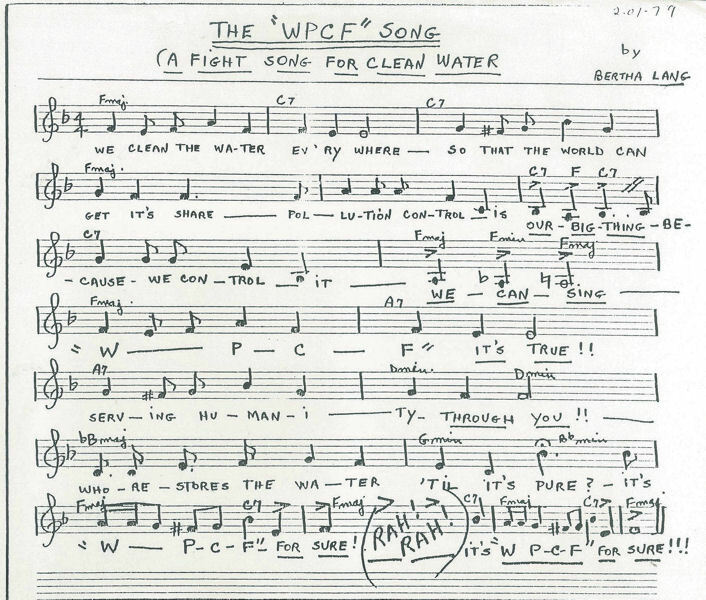 Bertha, a past president of the New York State Music Teachers Association (Cornwall), crafted the “The WPCF Fight Song: A Fight Song for Clean Water” in 1979. She even performed a rendition of the song during WPCF’s annual conference in Houston that year. WEF thinks clean water is worth continuing to fight for, so it called on members to submit an updated version of this song. 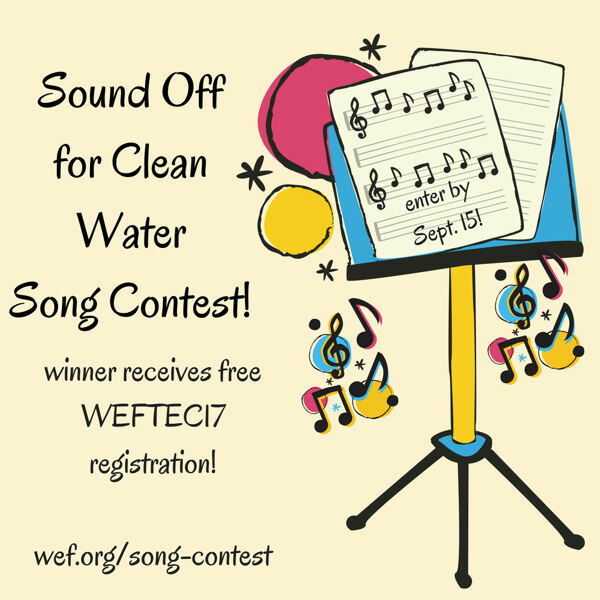 The Sound Off for Clean Water Song Contest accepted submissions of any variety — whether it be a ballad, jingle, or even a rap — that reflects WEF’s focus on protecting public health and the environment until Sept 15. The winner will be chosen in mid-September and receive one free registration to WEFTEC® 2017. Contact WEF staff member Rahkia Nance at rnance@wef.org with any questions.